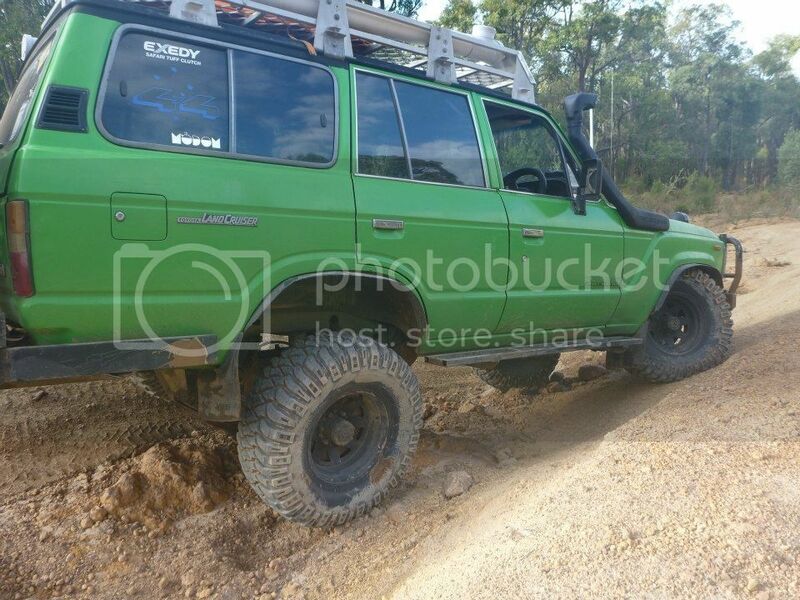 ANGRY6 wrote: Has anyone got a pic of a 60 series wearing these wheels? How do you manage it??? Mine barely moves. 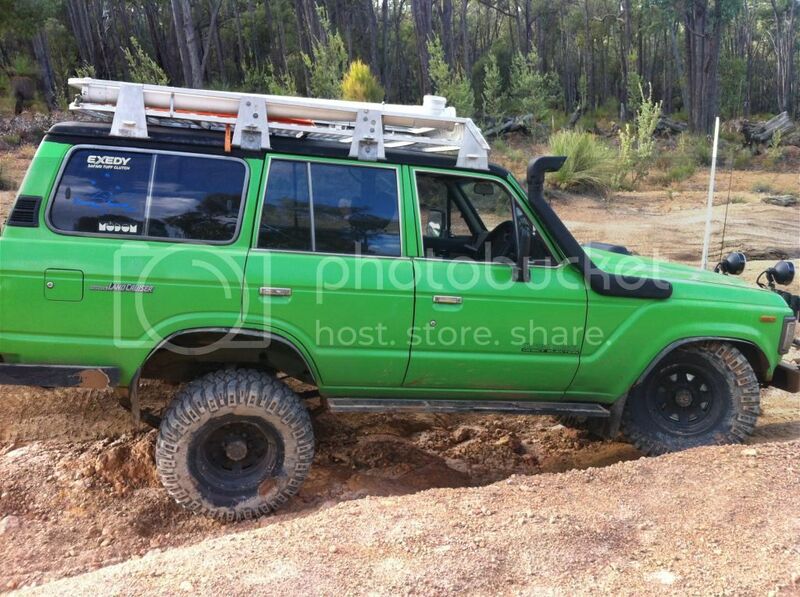 I bet you got no sway bars on yours eh?? You have any build pics on this? How does she go around corners with no sway bars?? I notice you say custom leaf packs. Did ya make em up yourself from a couple of diffrerent sets? I bought an EFS 2" lift kit with 250 kg over standard rear springs. Ive got a 190 litre rear tank so I wanted the higher rating. It sits ok and goes round corners real well, but it has no flex. The shackles stand up straight. I think the springs are too short. I'm thinking of making up a set from a couple of packs I have here. I got a set of rockcrawlers and a set of kings here. Might have a shot at making up a better pack. Any tips on making your own Kev?? to start with use hj75 front just the eye to eye and mitary wrap in the front (will need extended shakles for this) and my rears are iron man with the helpers removed and the shackle side leaf locater bolt removed with extended shackles and i use the firestone bags with all my own mounting brakets made up for a 3inch lift and that is wat is seen in the pics. also it is no race car that is for sure, but it is not hard to get used to driving safely, even with a heap of weight. finally took her out for a wheel to test how the new shackles, shoes and the manual box works. 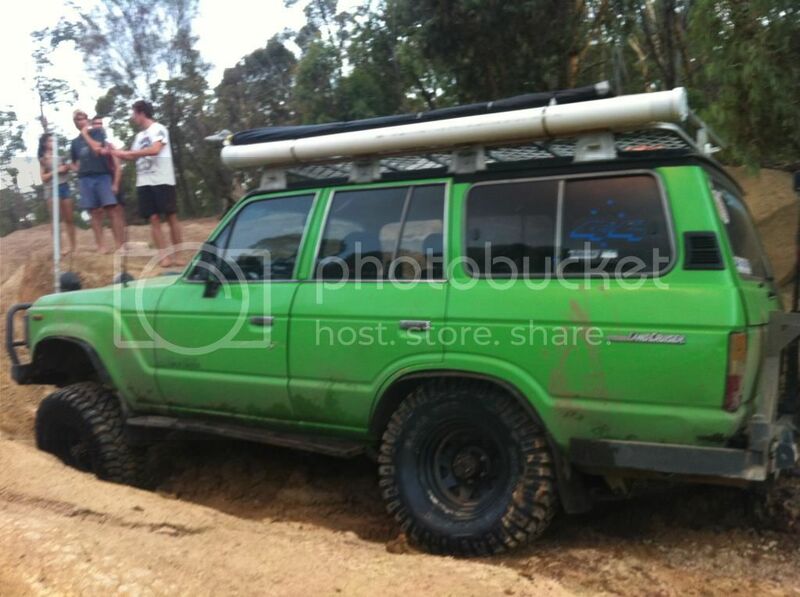 I am not sure that the mounting brackets for your roof rack are solid enough lol. Looks terrific, and I really like that green. Dont mean to offend, but i am not a fan of wild colours on 60's.